Our All Brides Beautiful ‘Real Bride’, Gillian, was absolutely amazing to work with. We love hearing from our brides and knowing that they had just as much fun as we did with them! Gillian’s entire look was perfection. 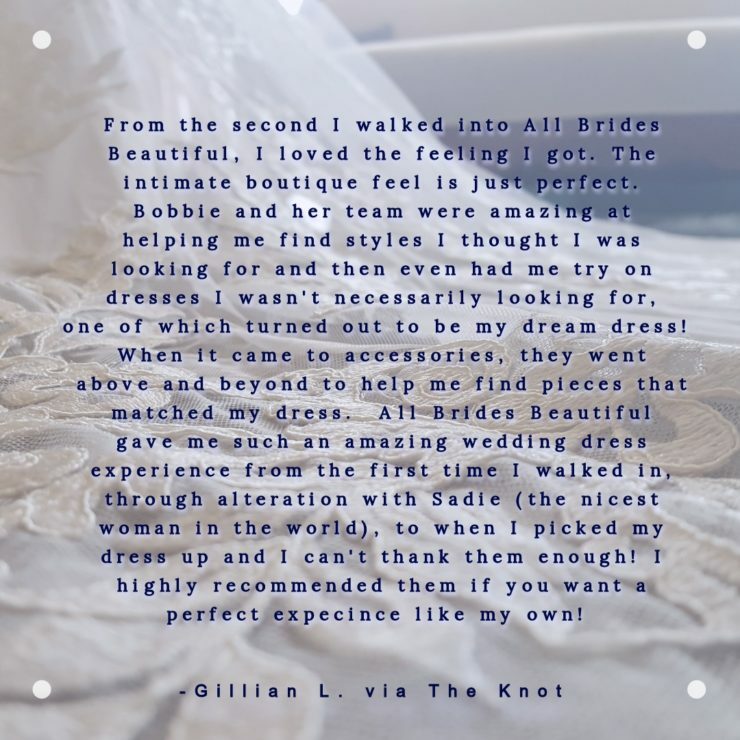 We loved helping her find the prefect dress and accessories. Her dress was the beautiful Eddy K ‘ Corsica’ gown paired with veil, earrings, and bracelet by Sara Gabriel Veils. Gillian finished off her look with a hair comb by AA Bridal. 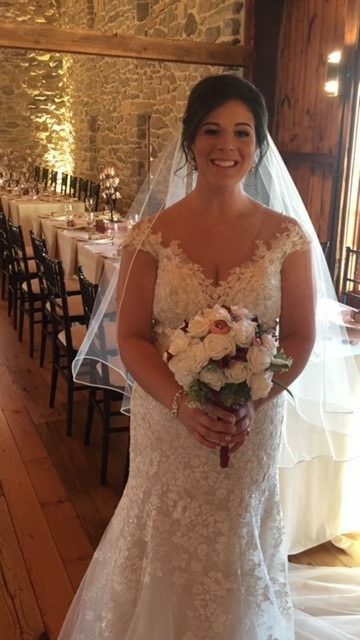 Gillian had a beautiful fall wedding located at The Barn at Silverstone in Lancaster, Pennsylvania. Each and every one of our brides becomes part of the All Brides Beautiful Family. 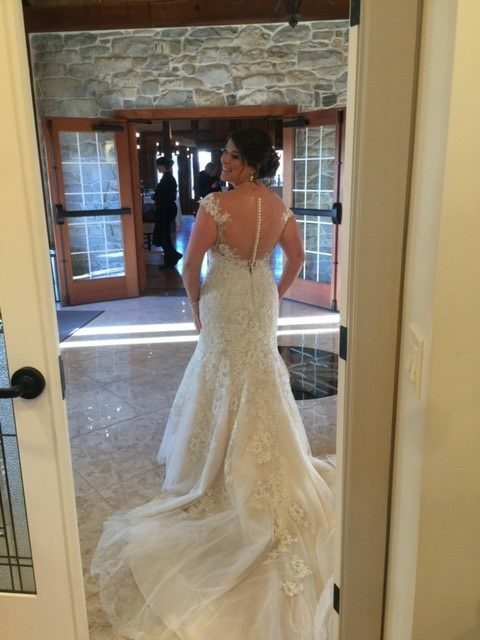 At All Brides Beautiful, we want to make sure that you love your dress from start to finish. Whether it be with accessories or a custom alterations change, our excellent team of consultants take pride in helping you make your dream dress uniquely yours. All Brides Beautiful’s alterations team goes above and beyond to make your dress fit to perfection. With our in-house designer and alterations specialist, Sadie, you can add custom touches to any dress. Our amazing team will help you from from the day you say ‘yes’ until the day you say ‘I do’. We can not wait to help YOU say yes to your All Brides Beautiful experience!